This knife is okay for what it is. Tried cutting a zip tie and it wouldn’t cut through it. Oh well! The Viper came super sharp out of the box. The spring action was a little stiff at first, but after a few cycles and a touch of oil it was lightning. Fun and one handed once you get the hang of it. Can't wait to get another otf soon!! The base product is impeccable. The action is fast and tight and the trigger and safety placement is fine if your hands are big enough. The pocket profile is also very satisfactory. My only criticism is the lack of a divot close to the hilt, but that is easily fixed with a round file and is more a personal preference than anything, and in no way detracts from the product. Yes the knife takes some getting used to but this thing works great. The blade flies out too fast to see and when opened it is very tight, no wiggle. Buying another! It looked good in the photo, but the release mechanism is on the rear of the knife which makes it necessary to hold it in two hands to release the blade. The release should be on the front of the knife so you can work it with one hand. To slow to get into operation. Great knife for the money. Opening mechanism took a little getting used to. Really like the safety lock. 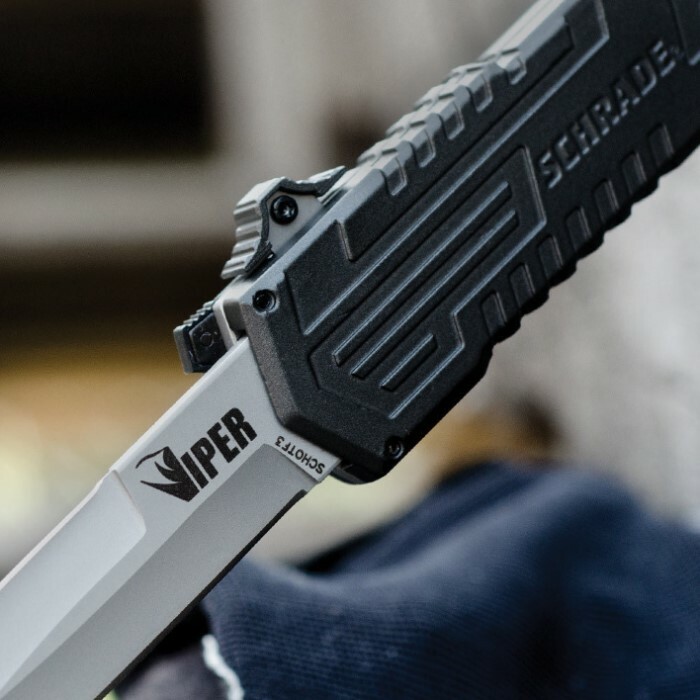 The Schrade OTF Assisted Opening Viper was an excellent purchase. Fast opening, easy closing. It does take some practice to open one handed bur once mastered, it is a very handy knife. I would recommend it to anyone. Super sharp and lightning fast assisted opening out of the box! My friends were extremely jealous! I've had it about a month, don't know how I ever got along without it. 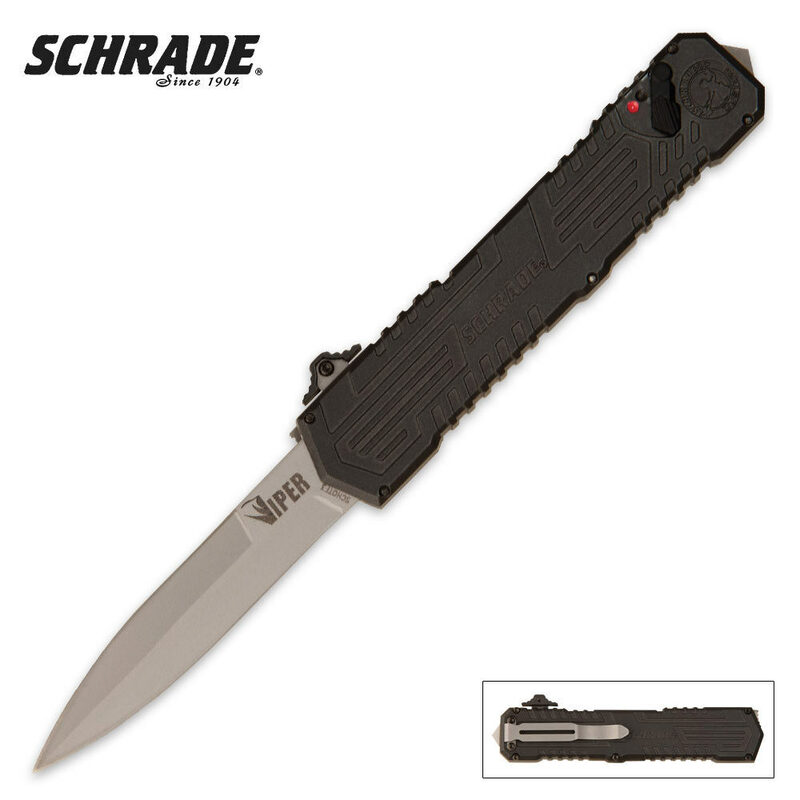 My older hands and stiffness make opening pocket knives a chore, but this Schrade OTF zips out at the touch of the button. Using only one hand, I can unlock, deploy and close easier than any pocket knife I have ever owned. 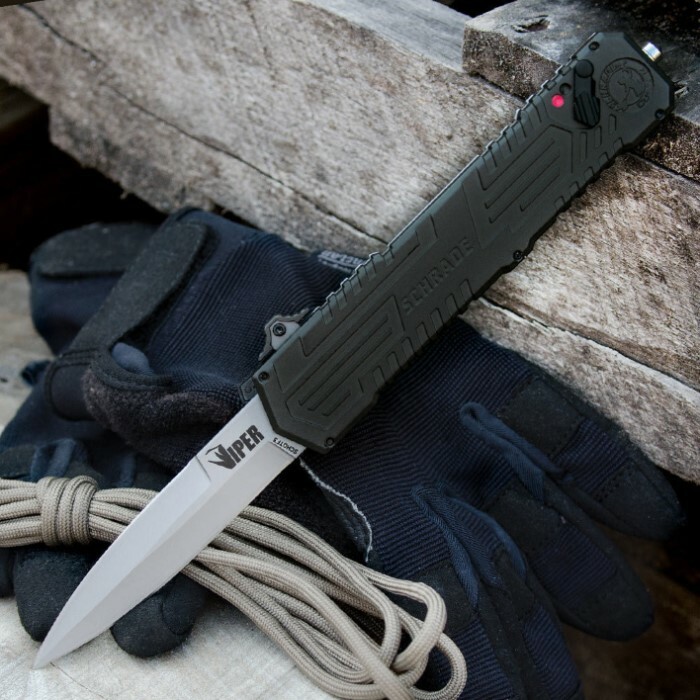 Stays sharp, strong construction, a great pocket clip, black finish is subdued for discreet carry. May get one for an old friend suffering the golden years like me.